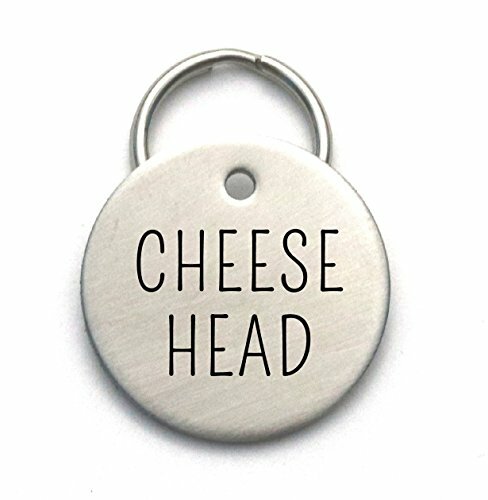 This 1-inch strong and sturdy custom stainless steel tag will be engraved as shown in the photos with "CHEESE HEAD" on front, and your pet's name and one or two phone numbers can be engraved on the back. Perfect for Packers fans. If you have any questions about this product by Critter Bling, contact us by completing and submitting the form below. If you are looking for a specif part number, please include it with your message.